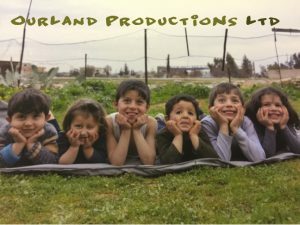 OurLand Productions is developing a feature drama through socially engaged methodology with refugee children living in camps or located in urban centres in Turkey. We have produced two award-winning feature films for BBC in a similar way, developing our practice both artistically and operationally. Our approach focuses on human interaction and dialogue with the people who’s story we are telling, and based in the context in which they live. Through collaboration with individuals, communities, and institutions we aim to co-create or catalyze positive change whilst producing great drama. It is not only part of a process within a unique context, but has a clear aesthetic in and of itself. 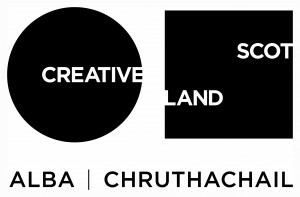 Socially engaged art requires a considered ethical approach which, through its very practice, proposes alternative creative structures driven by the collaborative process. THE CHILDREN’ S MARCH was inspired by archetypal folk tales such as The Pied Piper of Hamlyn and by Berthold Brecht’s classic poem Kinderkreuzzug which itself was an adaptation of an earlier Finish poem by Arvo Turtiainen’s called Sotakoira. 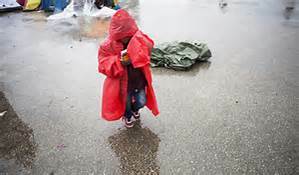 Brecht adaptation, first a screen play and then a poem, was set in 1941 and told the story of unaccompanied refugee children fleeing war in Poland, in 2017 we are adapting it to tell the story of children fleeing Syria today. We are conscious that engaging with unaccompanied Refugee children means taking responsibility for some of the most vulnerable young people alive today. Our motivation for doing so is to tell their story in the best way we know how. 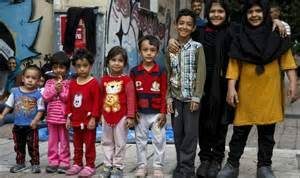 The context is what has been described as empathy fatigue as evidenced by the UK’s reluctance to play its part in allowing the settlement of child Refugees here. The welfare of the children we engage is a priority, we welcome the decision of The International Blue Crescent to support the project, with all their professional understanding, skills and experience in working with these children.